Nice way to include plantain flowers in our diet. 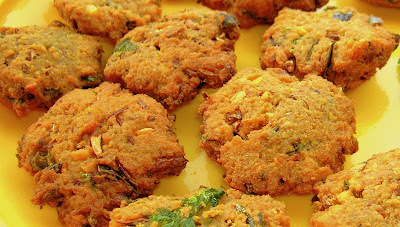 these vadas look very crispy..adition of banan flowers makes it tastier too...lovely entry..
yummy vadas, looks so inviting. I have some banana flowers with me. thanks for this idea. Reminds me of the movie Kandukondain Kandukondain where they prepare this vadai.Will bookmark this recipe. thanks for sharing. I haven't had plantain flowers so far! They look so pretty! 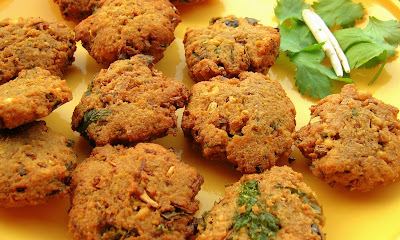 The vadas look delicious & crsipy! thank you for a lovely click. I love your step by step instructions. I've never cooked with plantain flower so must look for it in the shops!